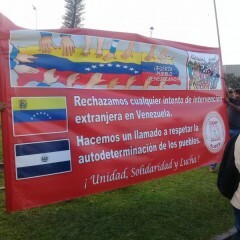 El Salvador: rally in solidarity with Venezuela’s Bolivarian revolution | Fight Back! 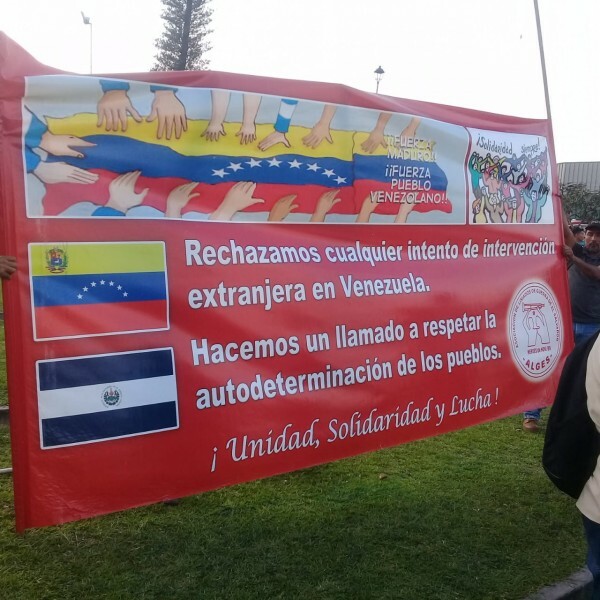 San Salvador, El Salvador - Hundreds of Salvadorans rallied February 21 at the Salvador del Mundo Plaza to express solidarity with the Venezuelan Bolivarian revolution and with the government of Nicolás Maduro. At the rally, which was called by Cuba solidarity committees in El Salvador, people carried Venezuelan and Cuban flags and signs showing opposing U.S. military intervention in Venezuela. Venezuela is facing the imminent threat of U.S. military intervention as part of an attempted coup orchestrated by the Trump administration to impose a pro-imperialist leader in the oil rich country. 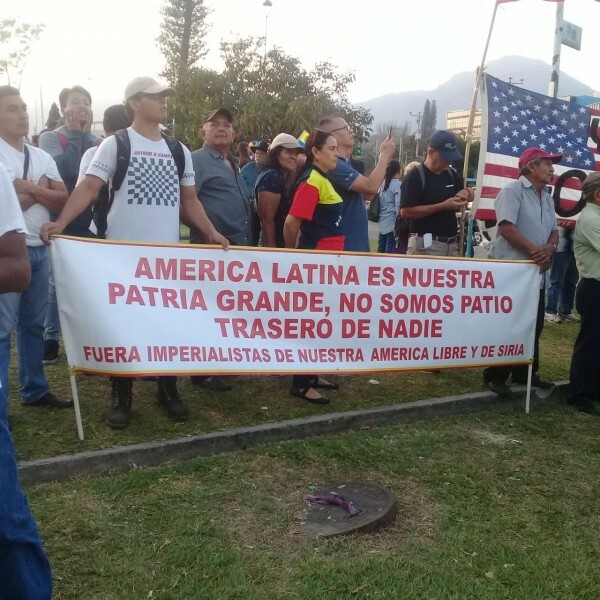 Due to the bloody history of U.S. military intervention in many Latin American countries, movements throughout the Americas are standing up in solidarity with Venezuela as they vow to resist U.S. imperialist intervention.